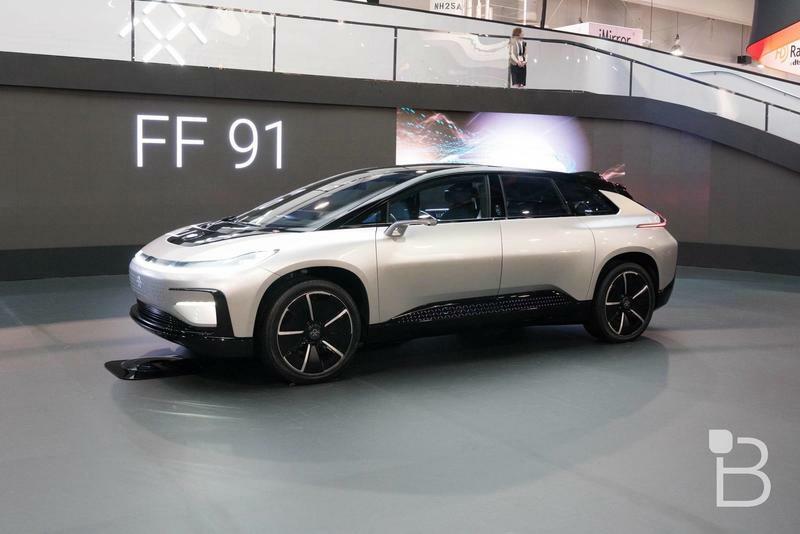 Earlier this week, Faraday Future officially unveiled the FF 91, the automaker’s first production vehicle, and we got the opportunity to take a closer at CES. Unfortunately, we didn’t get a chance to actually take the car for a spin, but it was still nice to see the car in person. 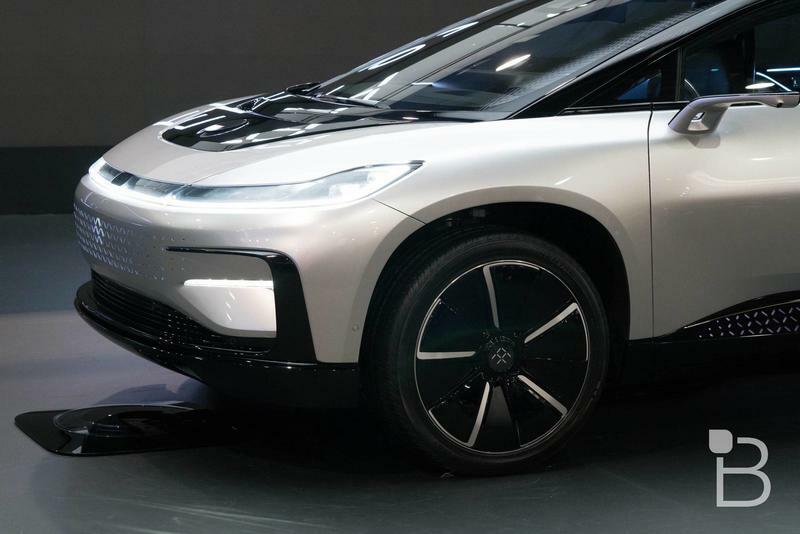 Faraday Future is hoping to begin production of the FF 91 in 2018. 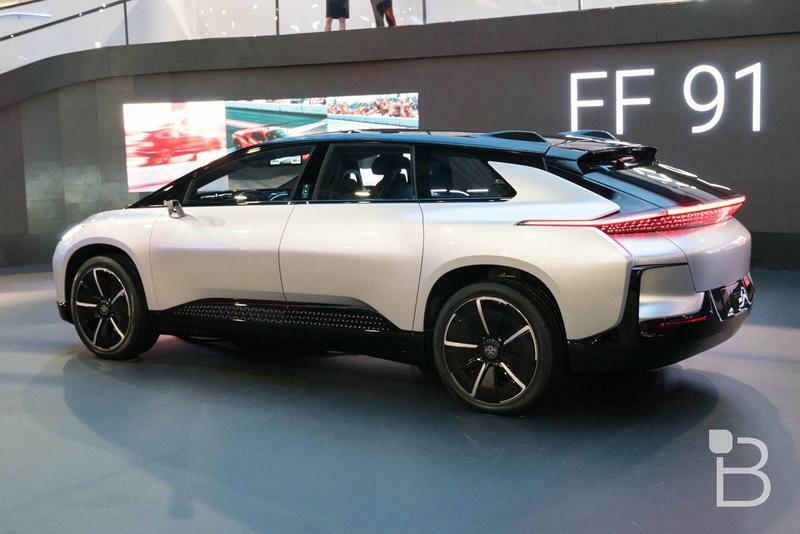 The vehicle is built on Faraday’s Variable Platform Architecture (VPA), a powertrain system that features a “monocoque vehicle structure in which the chassis and body are a single form.” Faraday says its VPA platform provides improved vehicle rigidity, safety and handling. 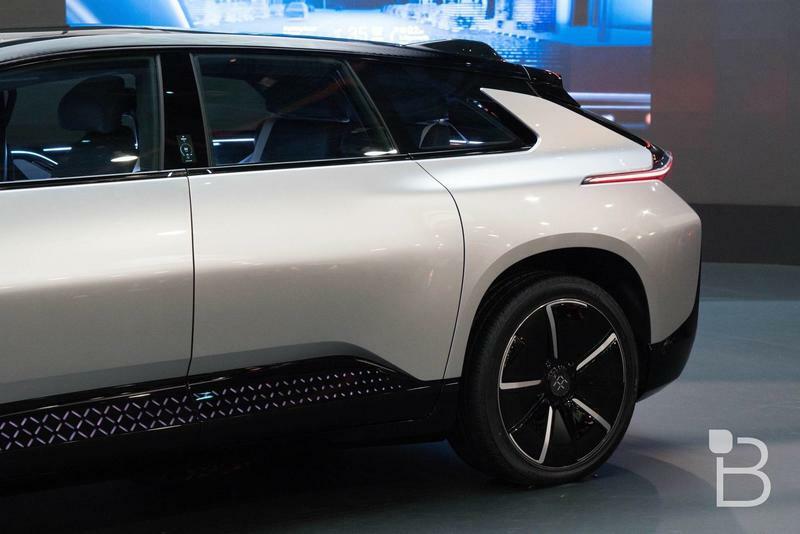 Faraday also says its VPA system houses class-leading battery technology, multiple motor and battery configurations. 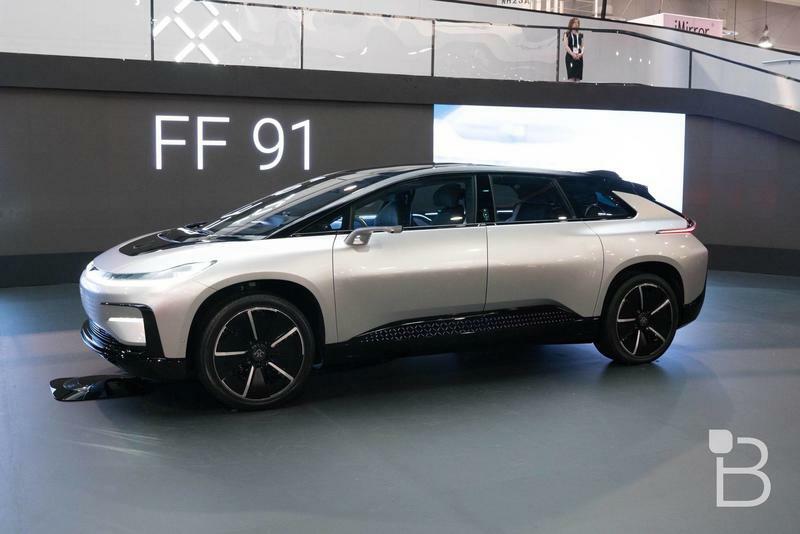 The FF 91 sports a 130 kWh battery, which can get up to 378 miles of estimated range, and the ability to charge at more than 500 miles per hour. 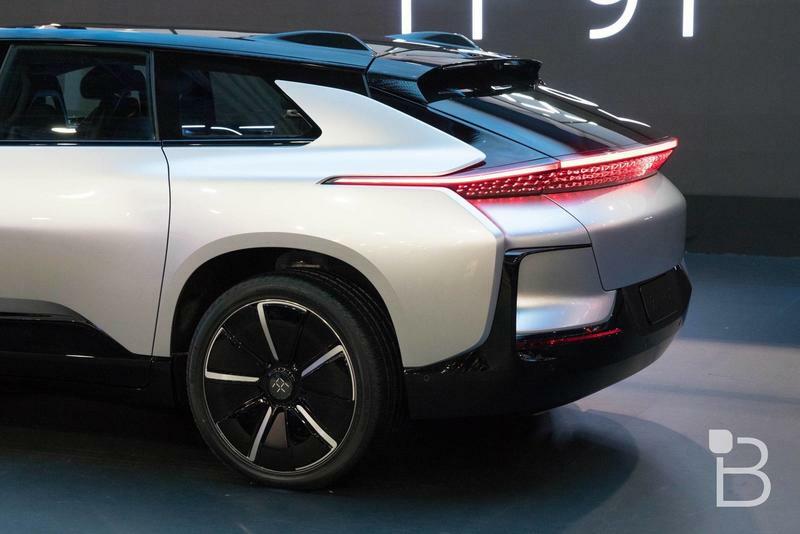 Home chargers includes with the FF 91 will be able to provide 50 percent to full charge in under 4.5 hours. 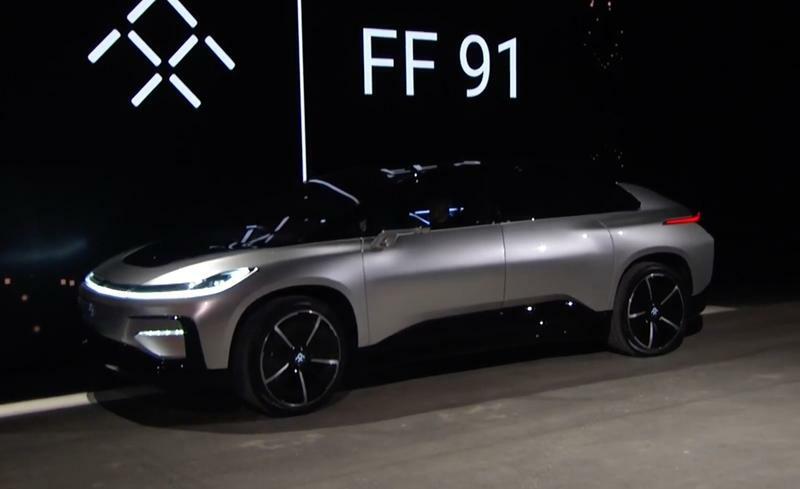 On the performance side, Faraday says the FF 91 is capable of going from 0-60 mph in just 2.39 seconds thanks to its 1050 HP. 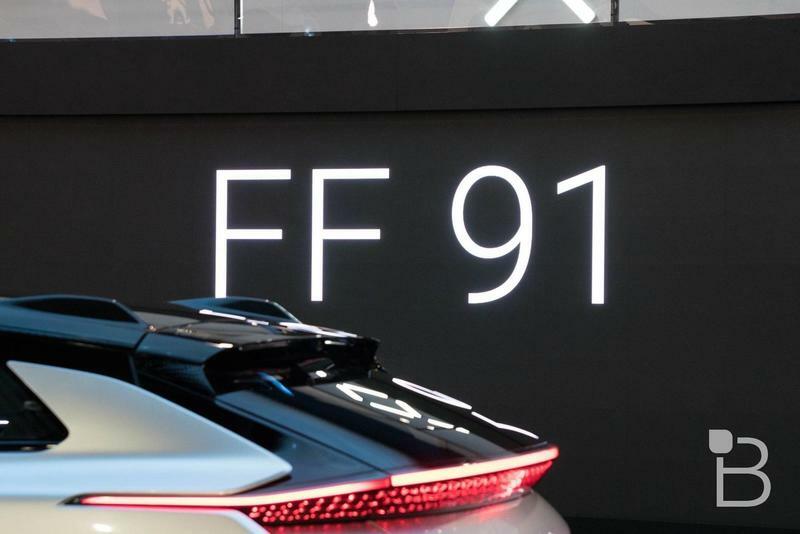 That makes it the fastest consumer car, even faster than the Model X and Model S. However, the FF 91 isn’t even in production so it’s unclear if the performance will hold up when the vehicle is on the road. 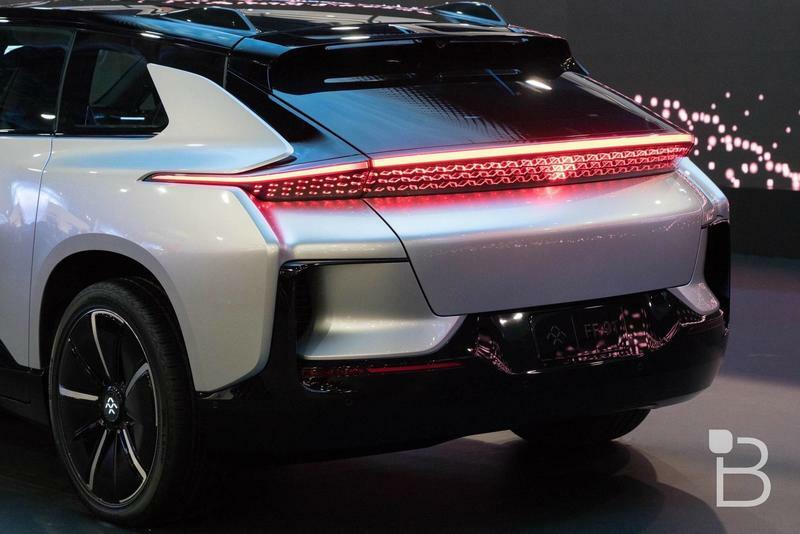 You can reserve yours now for $5,000, which is fully refundable. 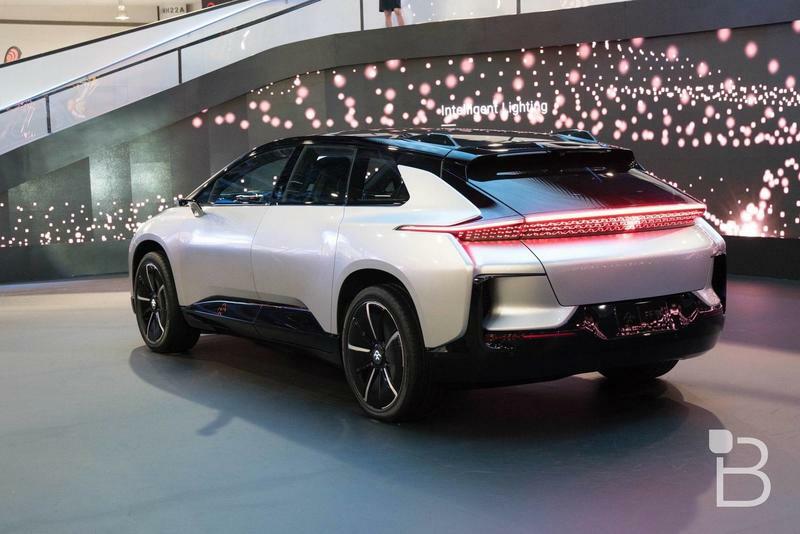 Production is expected to get underway in 2018. 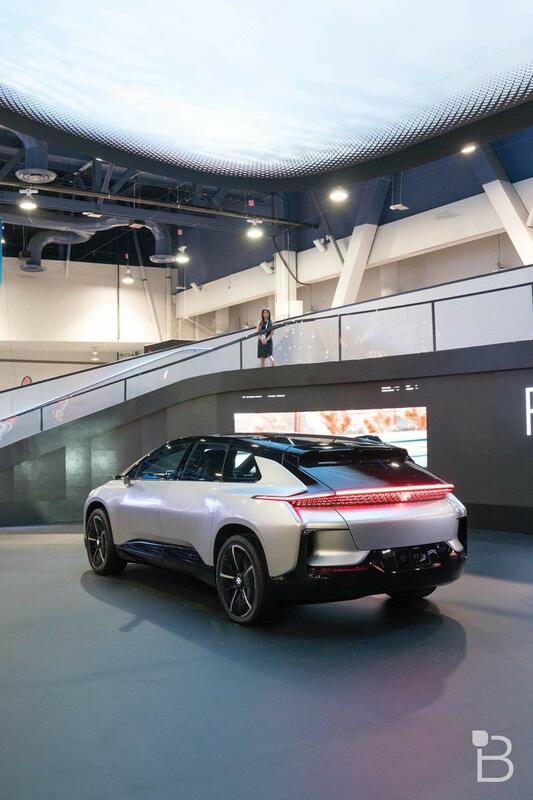 Check out pictures of the FF 91 from the CES show floor above.